It doesn’t matter if you are or are not enrolled in an online Christian college, religion is all around you. From the most devoted follower to the most confused agnostic, religious attempts at answering everything from what is moral to our very existence have stood the test of time. However, with new religions and sermons popping up faster than the internet can stay on top of, it can all be more than confusing. To help you get a better handle on who believes what, as well as your own beliefs, we have gathered the top 25 online study resources for religious courses. They can help you do everything from getting an expert view to learning about religion the same way Ivy League students do. Study religion in general with the help of these courses. A major part in both Judaism and Christianity, learn all about the Old Testament in this open religious course from Yale University. Professor Christine Hayes is a specialist in talmudic-midrashic studies. Special emphasis is placed on the Bible against the backdrop of its historical and cultural setting in the Ancient Near East. This course provides a historical study of the origins of Christianity by analyzing the literature of the earliest Christian movements in historical context. Another open course from Yale, this one is taught by Professor Dale B. Martin, an expert on the New Testament. A central organizing theme of the course focuses on the differences within early Christianity. Get loads of lectures on the topic for free from UC Berkeley. Twenty-three lectures make up everything from faith to training of the mind. Simply click on your choice, or listen to them all. Click here for an open religious course from Utah State University. It presents a theoretical analysis of religion as a cultural phenomenon and explores the functional relationships between religion, culture, society, and the individual. See where the two subjects merge and conflict by clicking here. It is a lecture from the University of California, Irvine by Dr. Carol Trabing. There are also loads of other video lectures. Faith has always played a major role in the United States and is examined further in this religious course. It introduces students to the African American faith experience, with particular attention being given to the historical development of spiritualties of liberation. Several vantage points within the humanities, social sciences, and theological disciplines are shared. The Theology Department at the University of Notre Dame gives this religious course. It examines the development of Latino religion and theology in the United States and how U.S. Latina and Latino theologians have articulated the meaning and implications for Christian living of core theological topics such as Christology, worship, evangelization, and social justice. Click here for one of the religion classes from the open course options at MIT. It provides an exploration of colonial and postcolonial clashes between theories of healing and embodiment in the African world and those of western bio-medicine. It also looks into Afro-Atlantic religious traditions. Learn more about the texts of a religion with the below. No matter which language you want to study in, this site offers over 30 Bible translations for the studying. Click on popular Bible verses to learn more, or get a daily devotional on the home page. There are also pastor audio, study tips, and an active online study community. Get good, old fashioned Bible study courses here. There are seven starter courses on the Gospel of Mark, The Book of Acts, and others. You can also scroll down to get specialized Bible lessons. Nearly 50,000 students have stopped here for these free religious courses. 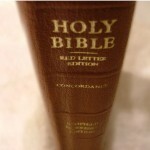 There are four different courses to choose from on different versions of the Bible. You can even choose to receive your lessons through the mail. Get over 325 religious courses for kids here. They cover the entire Bible and are free to download from Calvary Chapel. There are even lessons in Spanish. Get loads of religious studies on the Jewish texts with a visit here. Several lessons are featured each day, and you can browse through the archives as well. There is also a daily quote, various instructors, and much more. Dedicate a day of learning religious studies to this site. Rabbis, professors, and more all stop by to give lessons on the Torah. You can also learn the basics, seasons, and even send in your questions. The site offers Islamic education through easy to understand free online courses on the sources and contents of Islam. They are based on the Quran, Sunnah, and Hadith. There are forums, lectures, and even an area to send in questions. There are not many places one can regularly or credibly learn about Buddhism, with the exception of Barbara O’Brien’s blog. She studied at Zen Mountain Monastery in Mount Tremper, New York and has lots to say on the topic. Visit for the basics, videos, and loads of new thoughts on Buddhism. These religious courses take on a specific aspect of religion. 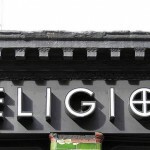 Start with the historical aspects of religion in this course. It explores how views of Jewish history have been formed and how this history can explain the survival of the Jews. Special attention is given to the partial and fragmentary nature of information about the past and the difficulties inherent in decoding statements. Can one live a good life with all their morals intact? These and many similar questions are asked in this religious course. Matters such as euthanasia, gay marriage, racism and racial profiling, free speech, and others are all taken on. 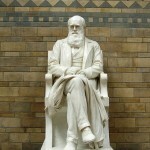 Charles Darwin made history with his theory of natural selection over intelligent design. Learn the fundamentals and advanced principles of this train of thought in this religious open course. Other readings include Hume, Voltaire, Wells, and others. For many this form of religion is the stuff of storybooks, but for others it is a real religion. Learn more about the occult aspects of religion here. Items studied include magic, ritual curing, trance, spirit possession, sorcery, and accusations of witchcraft. Feel ready to take on a religious course at the graduate level? This is a graduate reading seminar on the role of religious groups, institutions, and ideas in politics using social science theories. Learn the religion, history, and culture of the Muslim people in this religious course. It is given by the University of Notre Dame by Professor Asma Afsaruddin. Radio show host Glenn Beck often makes headlines on little known items in history. He also offers his own open university and this course on faith. In it, renowned historian David Barton teaches how faith affected the development of the United States. Did you enjoy the above? Then check out the follow up from the same school, same professor. It more closely examines the 250 founding fathers and their alleged secularism. There is also a Faith 103 class with even more. And the above top 25 online study resources for religious courses are just the beginning. There are loads of other religious readings to be had, including many religious texts, which are often considered public domain. There are also sites like Beliefnet that specifically educate and inspire tons of faith from the astrological to the Zen.